Patrick Kruger from Seattle brought a 14 foot Christmas tree home that would not fit into his house. 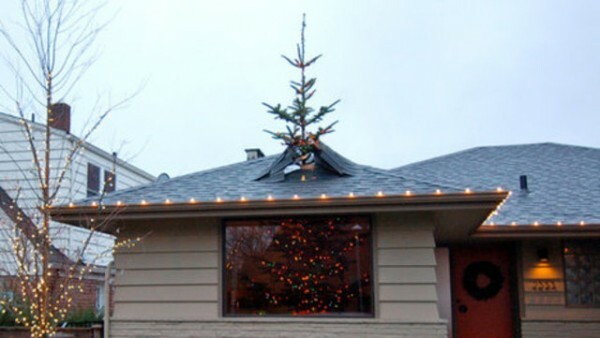 So he naturally did what anyone else would do… he cut the top of the tree off and attached it to his roof. A few deceptively placed shingles help create the effect that the tree is busting through roof of his home.